Smart Meters are electronic meters that, once an Advanced Metering Infrastructure (AMI) is added, can measure and record actual power usage and water usage and transmit that data wirelessly over a secure network to a central data management system. The City is investigating the implementation of an appropriate AMI system for Saskatoon that would make both electricity and water meters 'smart'. 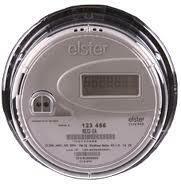 Frequently Asked Questions about Smart Meters, the Benefits of Smart Meters, and How Smart Meter Billing will work. Health Canada has concluded that exposure to RF (Radio Frequency) energy from smart meters does not pose a public health risk. The first report (pgs. 1-10) asks for City Council's approval to issue an RFP for consulting services for this projects. The second report (pgs. 11-15) asks for City Council's approval to award the RFP for consulting services to Util-Assist Inc. The attached map shows which neighbourhoods in Saskatoon receive their power service from Saskatoon Light and Power and which receive power service from Sask Power.